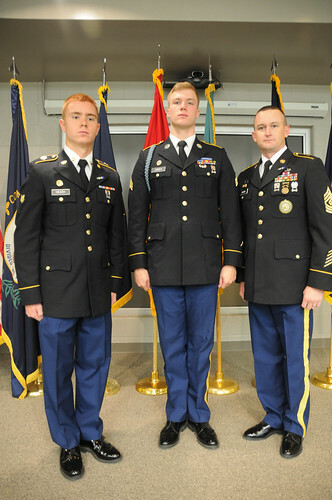 The three Guardsmen received ribbons and trophies in a brief awards ceremony Nov. 8, at the Wendell H. Ford Regional Training Center in Greenville, Kentucky, following the competition. Warriors were tested on their military knowledge and military history; completed an Army Physical Fitness Test; conducted weapons qualification on the M4 rifle and 9 mm pistol; were physically and mentally strained on a stress-shoot obstacle course; ran land navigation and 5-mile ruck march and completed numerous Warrior Task skills before appearing before boards. Kentucky’s six brigades sent their best and brightest representatives for the annual Best Warrior competition held Nov. 5-7. The three-day competition pushed each of the 15 competitors to their mental and physical limits. The competition is designed to prepare the three winners to represent the Commonwealth at the regional and national level competitions. For Jones, he’s well aware of how difficult the regionals can be. 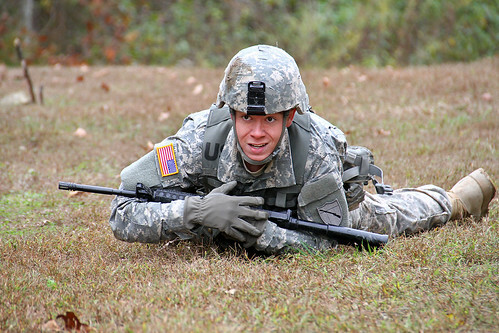 In 2015, he represented Kentucky as the Soldier of the Year at regionals. After learning from his experience there and competing as a NCO for 2016, Jones said he has one goal. “Hopefully to win it all this year and take the national,” he said. Jones said one of his downfalls in 2015 was tackling the state and regional competition as if it was meant for infantrymen, and not encompassing the whole Soldier concept. “This isn’t infantry of the year, this is Soldier of the Year,” he said. That same sentiment is what Heath said kept him going through the competition. “I serve in a platoon of medics; it goes to show that there’s no limits, nothing there to stop you,” said Heath. Heath said that his preconceived idea that the Best Warrior competition was only for an infantryman is something he wants to ensure other Soldiers don’t think. “I’ve got motivation to make my peers better Soldiers and better competitors,” he said. Kentucky State Command Sgt. Maj. David Munden said he was not only proud of the winners, but also of the spirit and resiliency the other competitors exuded. 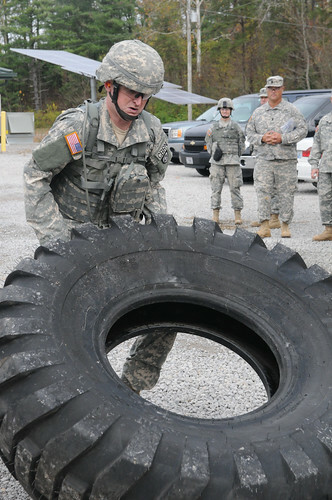 “These (15) are the best and the brightest of what the Kentucky National Guard has to offer,” he said. He also thanked the competitors for staying motivated and pushing each other through the stress. “When you came in on Thursday night, I asked you one thing,” he said. “While you’re driving home, can you look within yourself and say I left it all out there. I did everything I could do, to do as well as I can. And I hope that you did. “I hope you go home with a satisfied mind and a satisfied soul,” he said.